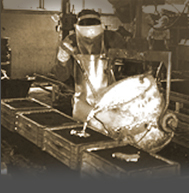 Manufacturer's Brass and Aluminum Foundry, Inc.
MBAF has been a quality supplier of brass, bronze and aluminum sand molded castings since 1927. Our long list of satisfied customers covers a wide range of industries including food processing, glass molding and high voltage electrical to name a few. Whether it’s a small run or large volume, simple design or complex configuration, MBAF specializes in custom solutions. Contact us with your specific casting requirements.